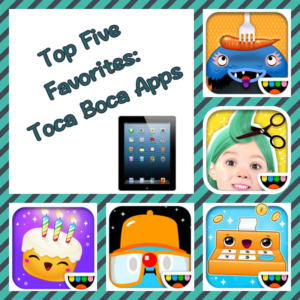 If you’re an SLP or teacher, I bet you have some Toca Boca apps on your iPad! They periodically go on sale, so I’ve acquired quite a few over the years! But there are some that just seem to work with almost any child I’m working with. Here are my top five! My students and I take turns picking characters to add to the band. The characters sound different based on which platform you put them on (and some sound more fun than others)! We love to practice giving opinions with this app. “Like it, don’t like it, good, bad, awesome, terrible, yikes, yuk, etc.” For some of my students who have trouble with dragging the icons, we’ve been practicing saying “that” and pointing to a character and “there” and pointing to a location. We LOVE to change our hair! It’s fun to change your hair color and length. 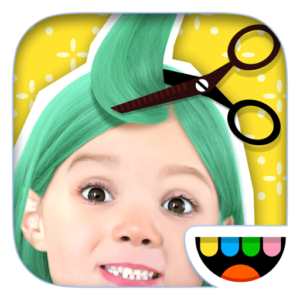 It’s worth washing it, just so you can blow dry it and make crazy hair! 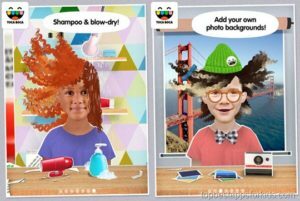 When I use this in small groups, I often import the pictures of students’ new hair into an interactive whiteboard app. Then everyone gets a chance to describe their friend and we write in on their page. You can print these out and make fun books for the classroom! 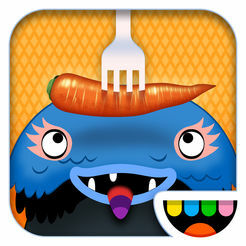 Though the app doesn’t have a on of educational value, it does have a lot of language potential! “What” do you want to buy? “Get it.” “Put in” the bag. 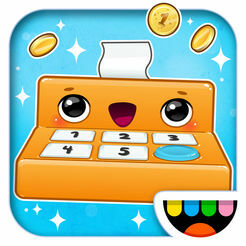 Count the coins! When we’re in a small group, we have to decide “who” will be the cashier and “who” will be the customer. 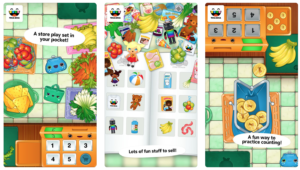 You can also set a purpose for purchasing like food or toys and decide if you should buy it our not. 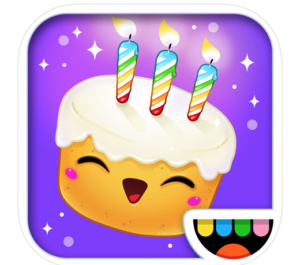 You don’t need to wait for a birthday to use this app! 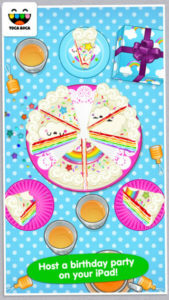 It’s fun to pick a theme, set the table, and (fake) gorge on cake and lemonade! We love to “eat more” and “drink more.” It’s fun to decide “who” to invite to the party (other friends, stuffed animals, etc.). There are presents to “open” and plenty of opportunity to give opinions. And of course, we sing “happy birthday” over and over! 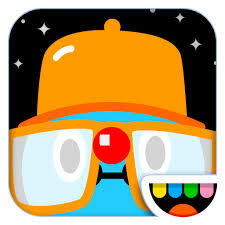 What Toca Boca apps do you like?